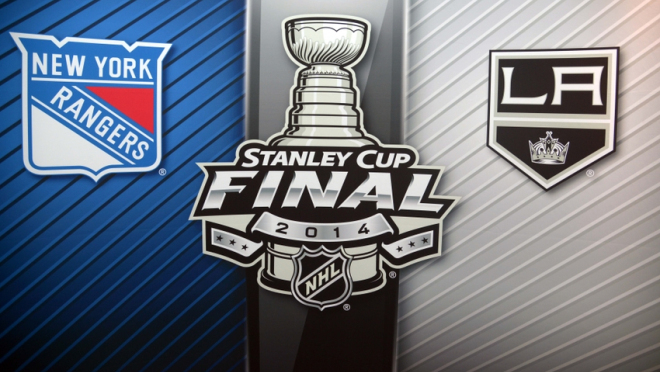 The NHL and the NBA are both deep in their playoffs and nearing the ends of their respective final series. There is a lot to be excited about with the way both sports have produced exciting match ups, but it seems to be ending with a little less of that energy that has made both playoffs so enjoyable. Admittedly, I am not an NHL fan and have not closely followed the playoffs, but the path to the championship was filled with exciting moments. The finals opponents did not get to their positions without some trial and strife. The LA Kings may have won Game 7 against the Sharks in convincing fashion, but they were taken to a 7-game series to move ahead. The trend continued in the conference semifinal as the Kings were taken to the brink again against the Ducks. The Blackhawks were thought to be the team to be able to stop the Kings run, but fell short again in another Game 7. In the Eastern Conference, the Rangers started with a tough series against the Flyers and finished with a 2-1 win in Game 7. Initially down 3-1 in the series against the Penguins, the Rangers were able to find their stride and win 3 straight to gain entry into their conference finals. They were not a stifled in their conference championship, finishing the series in 6 games with a combination of convincing wins and overtime thrillers. The finals have not been nearly as thrilling, unless you count the first two games going to overtime and the second game being a double overtime. Regardless of the closeness of the first few games, the 3-0 victory in Game 3 was much more convincing for the Kings and puts them in place to finish the series tonight. It looks like the Rangers will likely fall short within the next two games and the Kings will gain the title of champions for the second time in three year. I may not be watching the game tonight, but hockey fans should be prepared for a fight in Game 4. 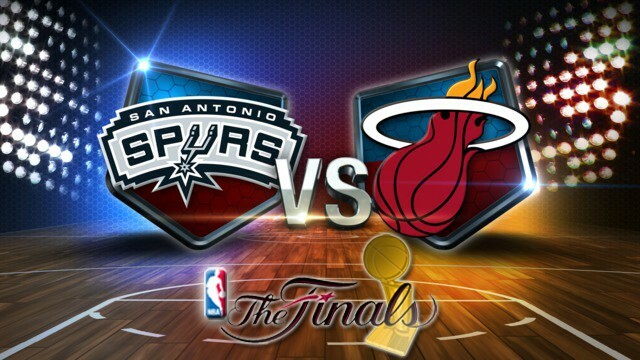 The Spurs and Heat are matched up for the second straight year and the finals look like they are falling into the same pattern. The teams did not have the same struggles as their counterparts in the NHL. The Spurs had the roughest time with their first round matchup against the Mavericks, but breezed past Portland and Oklahoma City into the finals. The Heat similarly breezed through their conference, with only a slight push from the Indiana Pacers and a touchy Lance Stephenson. Prior to the finals, the Wizards were able to boast their ability to move past the first round for the first time in their franchise history and Damian Lillard had one of the most exciting shots of the entire playoffs as the Blazers finished off the Rockets in the first round. Entering into the finals, the Spurs were leading in almost every major statistical category, with the exception of FG%. 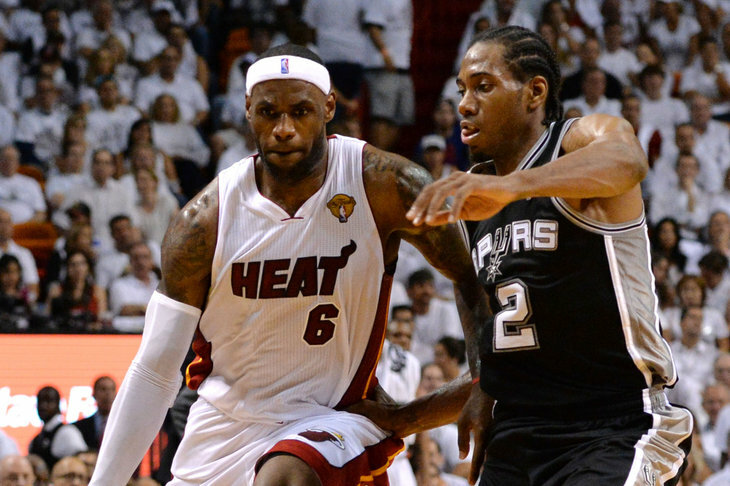 In the first and third games, the Spurs demolished the Heat and made the series look like the Heat have virtually no chance of a three-peat. In both games, the Spurs only needed relatively short blocks of time to make the Heat defense look like they came from the D-league. Point guard play seems to be the problem for Miami, with no one able to cleanly match against Parker and Leonard. Chalmers and Cole cannot seem to score accurately or provide any real defense to stop the point. In Game 3, the Spurs were freely scoring with 71 points in the first half and 19 of their first 21 shots to start the game. The younger talent on the team seemed unable to miss. The Heat were able to steal Game 2 but need to prove something in Game 4 if they want to appear to have any chance to come back in the series. Interestingly, my greatest fascination is actually with the postseason already. Since the series looks like the Heat could fold way too easily this time around, the result of the finals and its meaning in the postseason seems much more intriguing. The Donald Sterling drama will continue to linger, as he refuses to let the sale go through and acknowledge that public opinion is significantly against him. Regardless, the Heat losing could mean major changes in the league to greatly affect the next year. The Spurs are near the end of their dominance in the Western Conference. Duncan, Ginobili, and Popovich are close to the end of their careers, and Tony Parker has a lot of milage on him. The young guys are good, but their future will be questionable without the veteran leadership. The Heat are seemingly in the middle of their dominance in the Eastern Conference, but Dwayne Wade seems to be a little too banged up to be considered a longterm continued star for his home team. LeBron is polarizing but mesmerizing at the same time. Where he goes, the rest of the league tunes in. If the Heat win, he will definitely stay in South Beach, but there could be changes if they lose. Melo seems to be the talk of the NBA with regards to being the latest move to the Heat, but the Big 3 and Melo would have to take pay cuts to all work together. With Chris Bosh seeming to be comfortable in Miami, this is now a more complicated situation than prior to Melo’s or the public’s interest in an enhanced Heat squad. NFL and college sports may be where I put most of my attention, but these championship series still deserve their due.